Looking for an environmentally friendly idea to tap into? Here’s one: ditch the plastic water bottles and start getting your aqua at home. An estimated 88% of plastic water bottles are NOT recycled in Canada — a number that’s as embarrassing as it is staggering. With each Canadian consuming 60 litres of bottled water a year — and sales surpassing coffee, tea, and milk — this is a lot of plastic needlessly piling up in landfills. 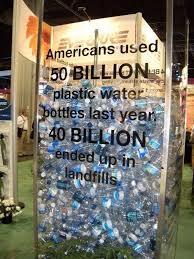 In North America, it used to be that about 70 million plastic water bottles ended up in landfills each year. 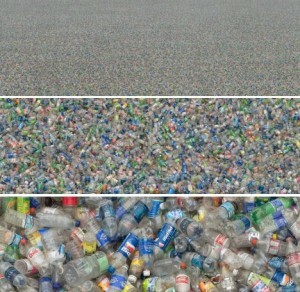 Holy batman…that is a LOT of plastic water bottles! 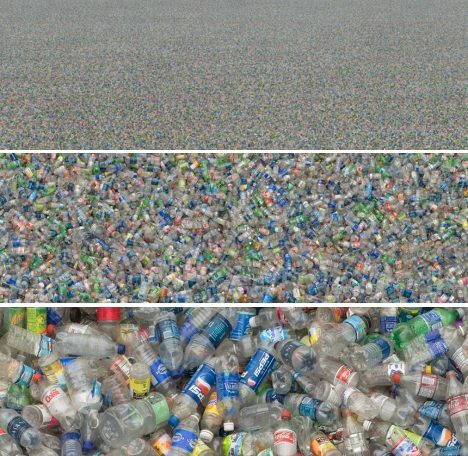 Across the globe, close to 2.5 billion kilograms of plastic are used to bottle water every year. And this plastic can take as long as 1,000 years to biodegrade. In the process, toxic additives are leaching into the groundwater. As for the amount of oil required to produce said plastic? Unlike the water you get through your tap at home, bottled water has a bigger environmental footprint because it has to be transported over long distances. Instead of simply being piped into your glass in the kitchen, it arrives by truck, train, plane, and boat. And all these modes of transport require fossil fuels to get around. 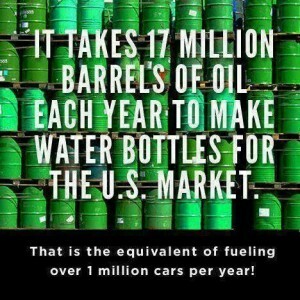 And many bottled water brands actually use filtered tap water similar to the water you get at home anyway. Plus, residential tap water is more strictly tested (but not in Flint, Michigan!) 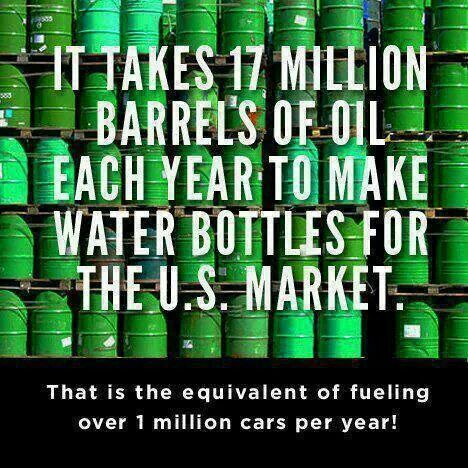 and regulated than bottled water, so it makes little sense to buy something that is so plentiful and cheap at home. 3. 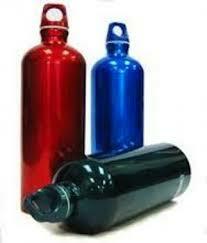 Purchase a reusable water bottle and use it at work, on the road, in the gym, etc. Taking these steps will help to keep more water where it should be — outside of a bottle. It will cut down on unnecessary waste in landfills by reducing some of the millions of plastic water bottles dumped daily. I’m far to cheap to buy water in bottles! Why waste money on something that comes out of your tap at a fraction of the cost? Living on a farm with well water we don’t need to pay municipally for our water but we do have an iron filter, water softener and RO system. So there is some cost to having our water flow out of our taps. Can’t imagine even wanting to pack that many water bottles in from the grocery stores all the time. I am now trying not to buy bottled water as much as possible. I have my own water bottle which I always carry with me. I also believe that by doing these, I can help save the environment and save me as well from expenses and harzardous chemicals found in the bottled water. I left one of my Nalgene water bottles at a rest stop in Oregon on a road trip last weekend…arghhh! !